Whether you know it or not, you are an expert in something. Perhaps you are an expert at making the best beans on toast, or in environmental law. Whatever it is, you know that subject inside and out and have plenty to say about it. That’s one of the reasons why it’s so popular. Yes, you need to initially spend some time creating a plan and a calendar for your content marketing, but you will be saving time and money in the long run, while humanizing your business. It’s a win win! Actually, the brilliant thing about content marketing is that it works in any field. So how do you get it to work for your field? Research your target market: what do they care about and how do they like to get their information? Content marketing isn’t just about writing long blog posts: creating videos or podcasts, quizzes or newsletters, infographics or video games,… One of these techniques will be right for you, so don’t shrug it off automatically. ROI success is extremely measurable on content marketing, but only once you’ve worked out what it is that you’re trying to measure exactly, and taken steps towards making it measurable! I’ve written a blog post on measuring ROI on social media which applies just as well to content marketing if you need a place to get started. Myth #5: Content marketing is just a fad, it’s not worth investing in. No one can predict the future of course, but content marketing is here to stay. Google trends shows that interest has only been growing over the last few years. 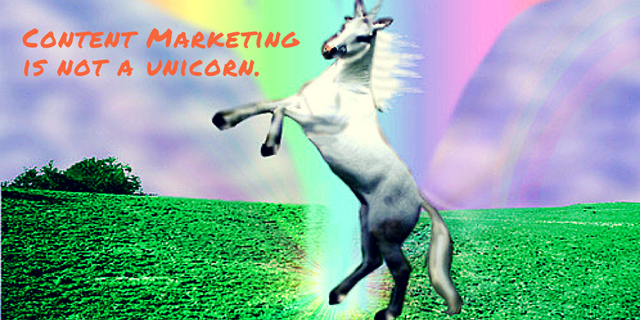 Do yourself and your business a favour by simply thinking of it as marketing, rather than a strange unicorn. 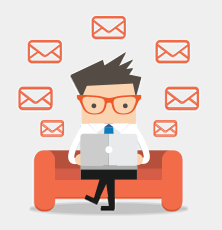 Try Passle, the content marketing platform.